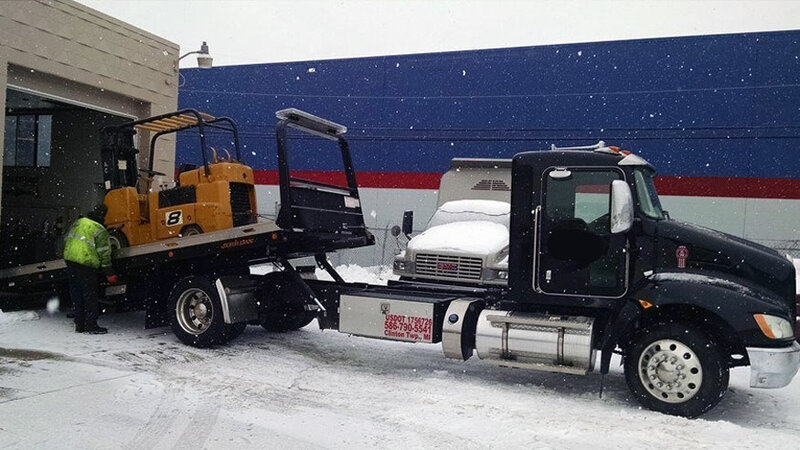 Prestige Towing Service provides cargo and equipment hauling services throughout Macomb County, Michigan and the Midwest. 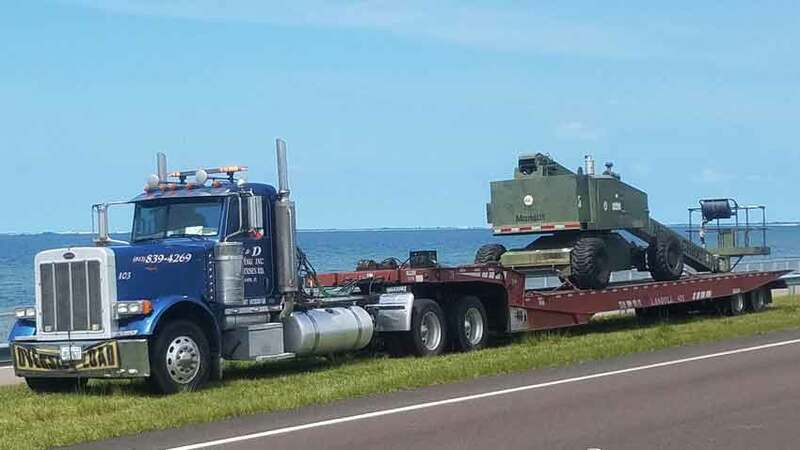 They can provide immediate and emergency cargo and equipment hauling at a moment’s notice nationwide via their fleet of flatbed, lowboy and Landoll trucks. Contact their 24hr dispatch center now at 586-868-3258 to get the Prestige Towing team working for you. Prestige Towing provides immediate delivery of equipment and cargo 24/7/365. They provide hauling for all types of light equipment at a fraction of the rates charged by traditional equipment haulers. 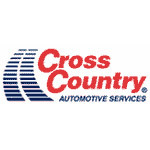 They can haul all types of light equipment and light tractors to any location in the Detroit Metro Area and Macomb County including: Armada MI, Center Line MI, Clinton MI, Eastpointe MI, Fraser MI, Harrison MI, Memphis MI, Mount Clemens MI, New Baltimore MI, New Haven MI, Richmond MI, Romeo MI, Roseville MI, Shelby MI, St. Clair Shores MI, Sterling Heights MI, Utica MI and Warren MI. Call their 24hr dispatch center now at 586-868-3258. Their fast and affordable services provide a virtual transportation department for many clients saving them time and money. They can provide emergency or scheduled equipment hauling anytime, day or night in Warren & Macomb Co. MI. Contact their 24hr dispatch center now at 586-868-3258 to get the Prestige Towing team working for you. Did you just purchase used construction equipment from an auction? Prestige Towing can move that equipment from the auction house to your location. They offer auction hauling throughout the Midwest and can provide multiple trucks for large loads or fleet purchases.They offer 24hr heavy hauling in the Detroit Metro Area and Macomb County including: Armada MI, Center Line MI, Clinton MI, Eastpointe MI, Fraser MI, Harrison MI, Memphis MI, Mount Clemens MI, New Baltimore MI, New Haven MI, Richmond MI, Romeo MI, Roseville MI, Shelby MI, St. Clair Shores MI, Sterling Heights MI, Utica MI and Warren MI. Call their 24hr dispatch center now at 586-868-3258. Prestige Towing is your one-stop source for safe and permitted oversized load hauling in the area and throughout the Midwest. Their experienced office staff will handle the entire permitting process ensuring uninterrupted delivery of your oversized load. 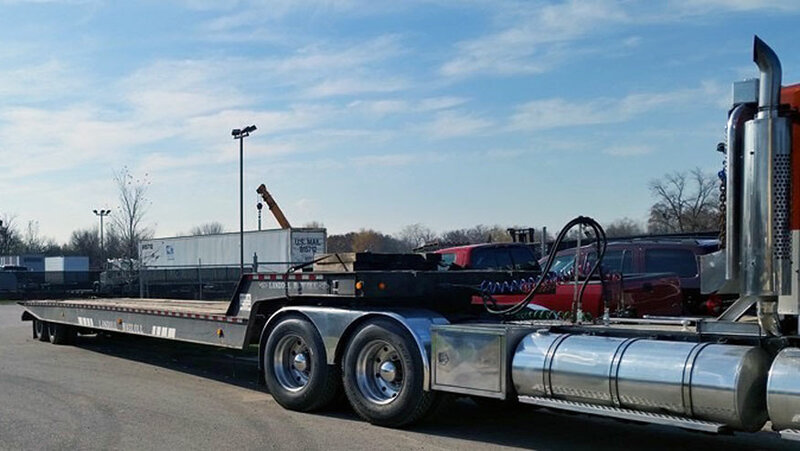 Their team has provided complete oversized load services for many of the area's largest companies providing them with excellent services and peace of mind that all permitting issues are resolved with every jurisdiction along the haul. Prestige Towing also provides shipping container loading, hauling and storage in Warren & Macomb Co. MI. They offer safe transport for all sea container sizes and can deliver complete container services for sizes from 10' to 53'. Their team of trained cargo professionals can provide loading, stacking, hauling and unloading of sea containers throughout Macomb County Michigan. 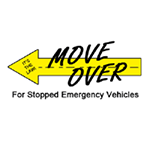 Call their dispatch center now at 586-868-3258. Prestige Towing and Recovery provides complete 24hr towing, heavy truck towing and heavy hauling in Center Line MI, Clinton Township, Eastpointe, Fraser, Grosse Pointe, Hamtramck, Harper Woods, Harrison Township, Hazel Park, Macomb, Madison Heights, Mount Clemens, Rochester, Roseville, Royal Oak, Saint Clair Shores, Sterling Heights, Troy, Utica, Warren and Washington MI.